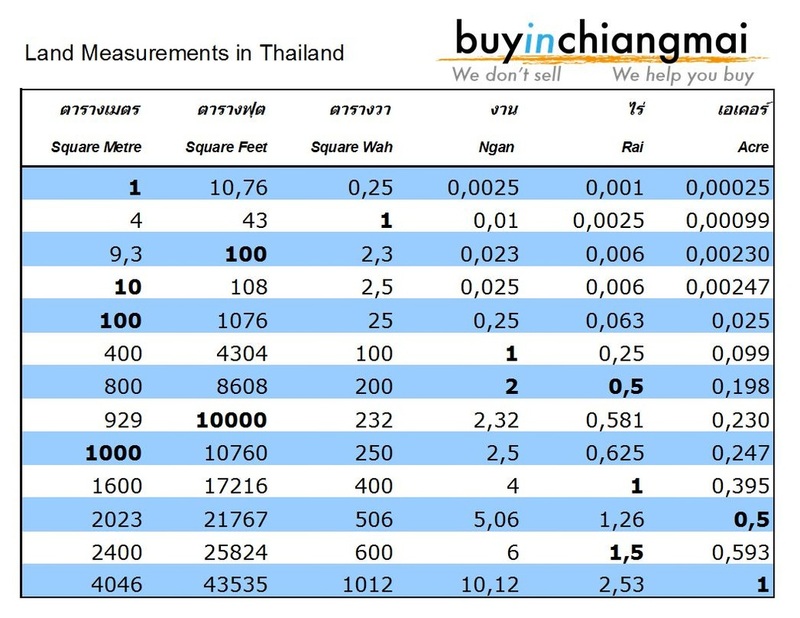 Thai land measurements are a bit different from European, UK, or US measurements. In Thailand, the size of land is expressed in rai , ngan and square wah (or talang wah). - One wah equals 2 metres, and thus one square wah (2X2 metres) equals 4 square metres. 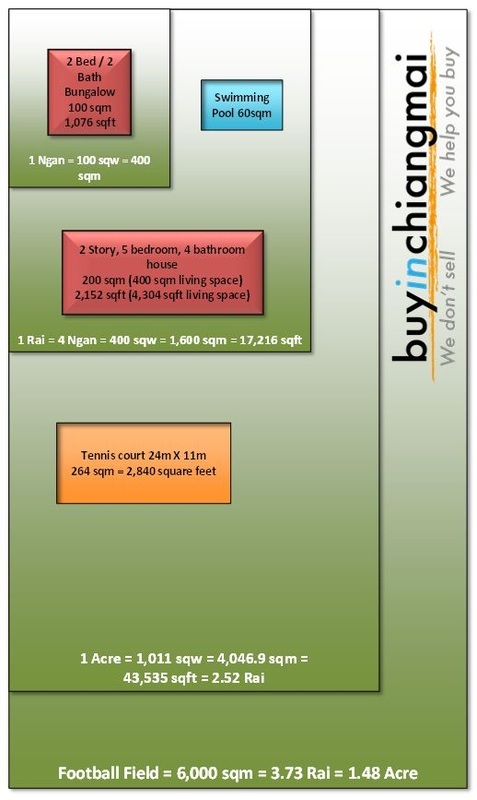 - And one rai, the biggest unit, is 4 ngan, 400 sqw, or 1600 sqm. You can express the size of land in square meters, rai, acre, or any other unit, but for some it is difficult to visualize these numbers. The table underneath compares some of the most commonly used measurements units to each other.